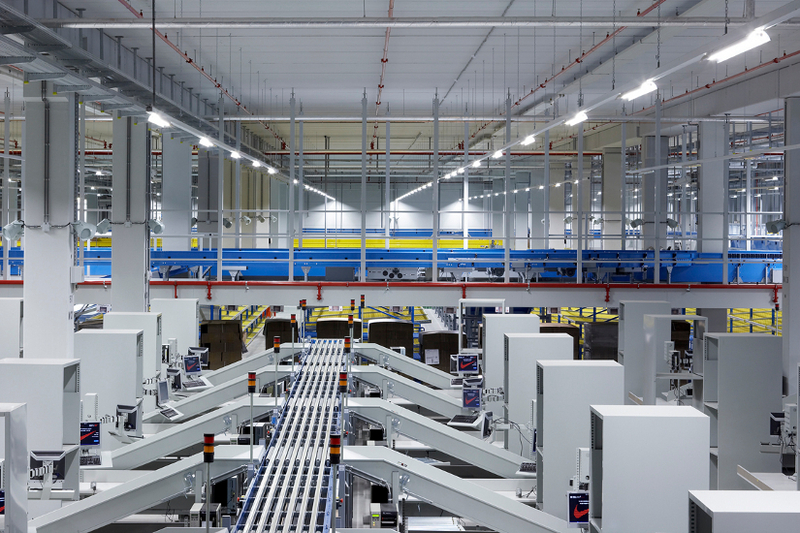 The distribution center is the logistic heart of Nike EMEA (Europe, Middle East & Africa). 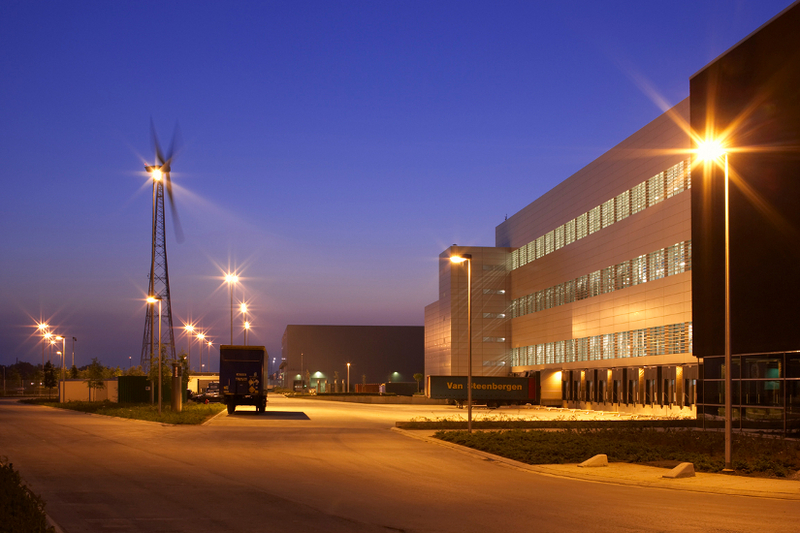 From this centre all logistic activities are co-ordinated between 700 factories and 25000 clients. For the centralization of its activities and to enable further growth Nike Europe Holding wanted to extend its Customer Service Centre with a new building for Equipment storage and handling.. The new building is laid out as a detached building. 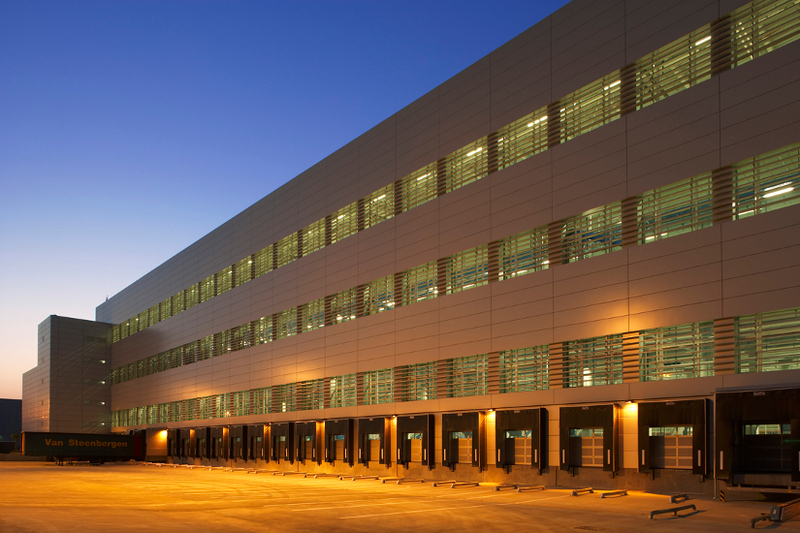 It consists of an automatic high bay warehouse for the storage of goods, a three floor low bay warehouse for the handling of the goods, an office block with offices and social facilities and a technical block with offices and technical facilities. 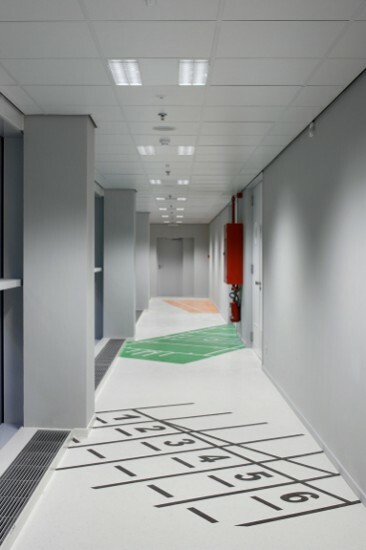 The lay-out of the new building aims at durable use of space. Special attention is given to possible future extensions of the different building and infrastructure sections. Between the new building and the existing Footwear 2 building 3 high bay compartments with manually operated cranes can still be built. 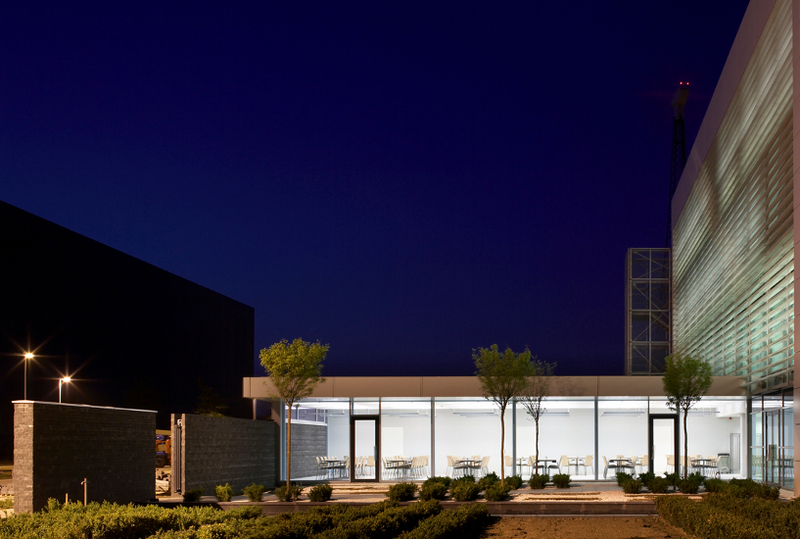 Design and colour use of the existing buildings were used as a starting point for the new building. In the design special attention was focused on energy-saving measures in order to reduce the energy use of the installations to a minimum.